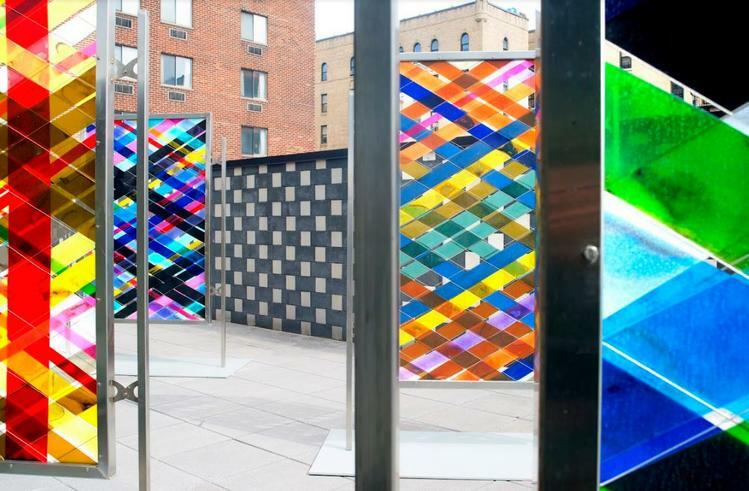 At the Bronx Museum’s Terrace, Arlene Slavin will present a group of sculptures from Intersections, a series that plays off the principle of the sundial. In these works, Slavin employs crisscrossed, translucent colored webs which remain stable, while the shadow created by the works is in perpetual change. 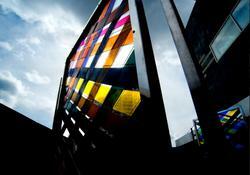 On bright days, the colors are vibrant, while on cloudier days, the colors are muted. At noon, the shadows are short and squat, but as the hours pass, the image lengthens as the sun moves across the arc of the sky. 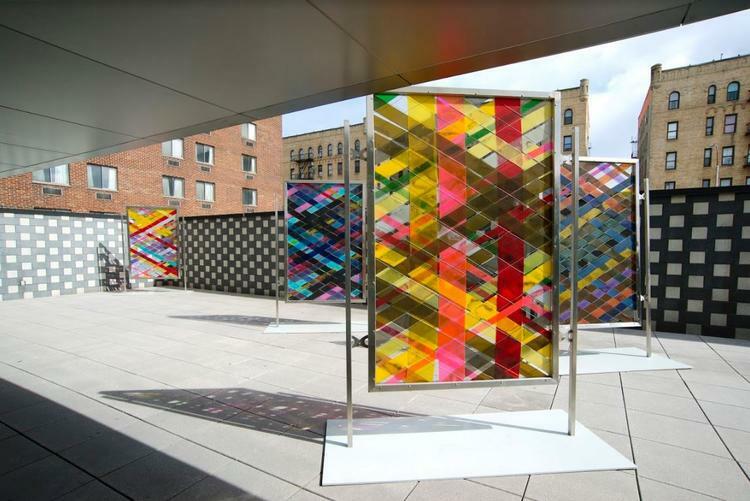 In addition to the works on the Terrace, Slavin will also create a site-specific installation with colored films on the windows in the Museum’s Second Floor, producing a modern riff on stained glass. Arlene Slavin is a sculptor, painter, and printmaker who creates large-scale public art commissions throughout the United States. She earned a BFA from Cooper Union and an MFA from Pratt Institute. She has been a visiting critic at University of Pennsylvania Graduate Art School, Syracuse University, the Pratt Institute, and Skowhegan Art School. She received a National Endowment Grant in Printmaking. Her work has been exhibited in the Whitney Museum Biennial and many other museums and galleries throughout the country for over 50 years, in addition to being featured in numerous corporate and public collections including the Metropolitan Museum of Art, Fogg Art Museum, Brooklyn Museum of Art, Cincinnati Art Museum, Orlando Art Museum, and Guild Hall Museum in East Hampton. Slavin lives and works in New York City and Wainscott, New York. Arlene Slavin: Intersections is made possible, in part, by the Director’s Circle, a leading Bronx Museum support group. 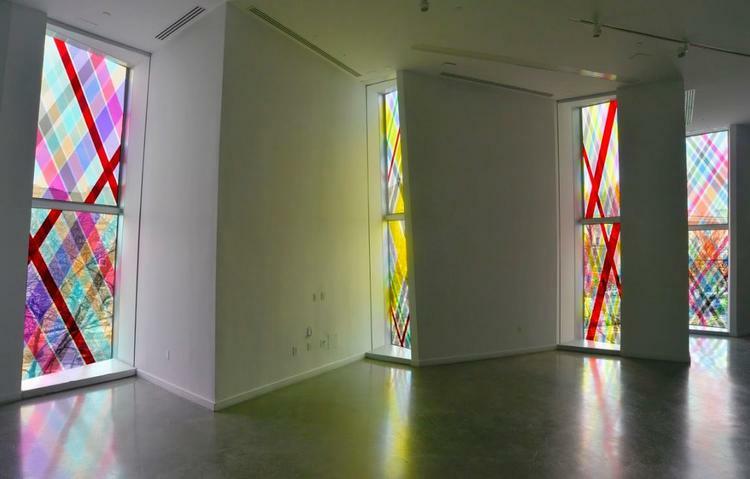 Installation view, Arlene Slavin: Intersections at The Bronx Museum of the Arts.